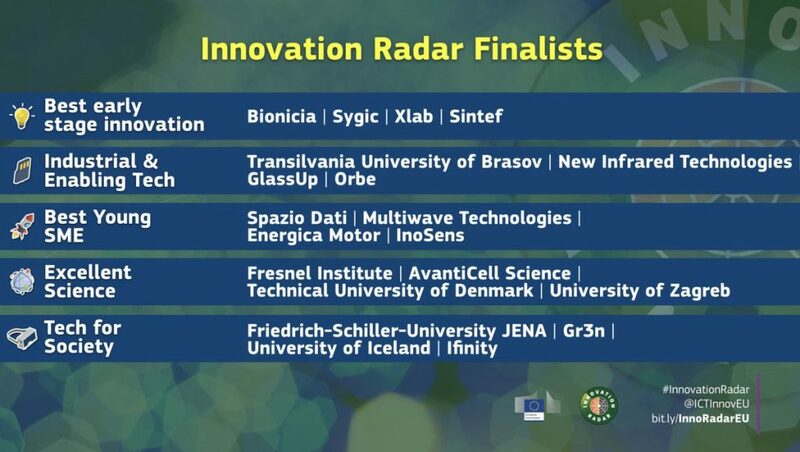 On 29 October 2018 the European Commission launched the Innovation Radar prize 2018. This initiative aims to celebrate high potential innovations that were developed in EU-funded research and innovation projects. 48 of the best innovators made the longlist for the prize and were competing in five categories and reflected the diversity of EU-funded research and innovation and come from every corner of Europe. Last week public voting closed for the Innovation Radar Prize 2018. More than 50,000 votes were cast to select 20 excellent EU-funded innovators who will now proceed to the finals at @ict2018eu in Vienna on Dec 5th and our partner Bioinicia is one of them! Good Luck for OptiNanoPro’s world first electrospray system for 3D surfaces used in the production of novel easy emptying packaging!! The winners will be announced on its website on 6 December 2018.